This year, should you decide to go on another exciting trip, why don’t you check out Greece? Below is a selection of the most amazing towns that you ought to visit – some are easy to find while others are off-the-beaten-path but nevertheless worth discovering. This charming town is western Greece pride and joy. 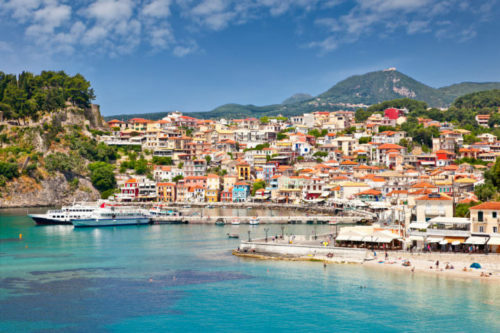 A popular summer getaway, Parga is nestled on the hills of Pezovolos where it is naturally built like an amphitheater surrounded with rich greens and blue waters. It’s a small and laid back town where tourists and locals get to relax and explore at the same time. Multi-colored waterfront homes and stone-paved roads are an attraction in itself. Further away from the town center are the ruins of an ancient Venetian castle that is located on top of a hill. Finally, the famous beaches of Lichnos and Valtos are just a boat ride from Parga. Nafplio is among the few cities that can capably justify Greece’s unique and colorful history. Located at the heart of Argolis, Nafplio’s profound cultural origins truly reflect romance, beauty, and elegance. The city takes pride in its Grecian-inspired villas and scenic pathways. Important landmarks of the city are the two Venetian castles, Acronafplia and Palamidi, built upon two consecutive hills. Because of these attractions, Nafplio was named as Greece’s first capital during the 1800s. Kastoria is the country’s beautiful representation of Northern Greece. It is likened to a floating island as it located on narrow land just by the waters of Lake Orestiada. The city became increasingly popular in the 19th century when it became the manufacturing center of fur. The rich traders built huge mansions and classical houses that still exist until now, and they can be seen when one visits the ancient quarters of Apozari and Doltso. Amazingly, 72 fascinating churches abound Kastoria, and along with the picturesque view of the lake and its promenade, Kastoria should never be missed out. Here lies one of the most relevant clusters of monasteries and a UNESCO World Heritage site, the Meteora pinnacles. 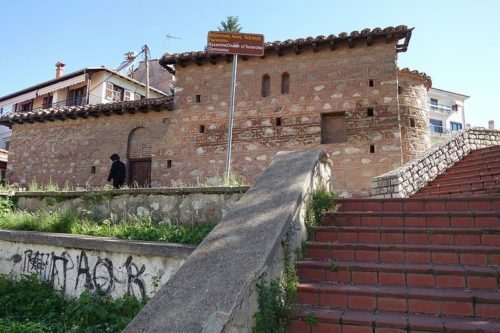 The history of Kalambaka is one that dates back to the Byzantine and ancient Greek era, which includes Orthodox chapels and churches. This can still be reflected by the cobblestone roads leading to the scenic historical quarter, Sopot’s. The city’s Macedonian architecture is amazing. Another fascinating town that is a perfect reflection of Greece’s beauty and elegance is Metsovo. It is located at the center of the magnificent Pindos mountain range with an altitude of 1200 meters. The design of the fountains, mansions, cobbled roads, and monasteries are just beautiful, as the city is home to skilled stonemasons that have remained a legacy because of the contribution that they have left for us to explore. Metsovo is rapidly progressing regarding tourism through the years, yet its touch of class and tradition remain. One can enjoy the sights along with yearly sports and cultural activities. ‘Little Switzerland’ as it is fondly called, the quaint town of Karpenisi is nestled in a less populated and an isolated region of central Greece. Its alpine forests and rivers remain been well-maintained and still breathtaking, which is why Karpenisi is a yearly playground for nature lovers and ski enthusiasts. Though relatively small, this pleasant town boasts of local delicacies like prosciutto and leek sausages. It also offers some nice restaurants, bakeshops, and decent accommodations for all types of tourists. Galaxidi is located in central Greece, in the beautiful coasts of the Corinthian Gulf. It was once a very rich and booming town, and up until today its former glory and unique history has been well-kept and managed, as represented by the Nautical Museum. Because of its scenic location along the Northern shores, it is a famous spot for yachting. Galaxidi’s streets are colorfully painted and are surrounded by ancient buildings and taverns and cafes that light up these beautiful streets. During Lent, particularly the first day, tourists and locals come to celebrate the town’s special event, the Alevromoutzouroma, or the flour war. Participants are instructed to paint their faces black with coal, and then they throw colored flour at each other, a crazy yet wonderful sight to witness. 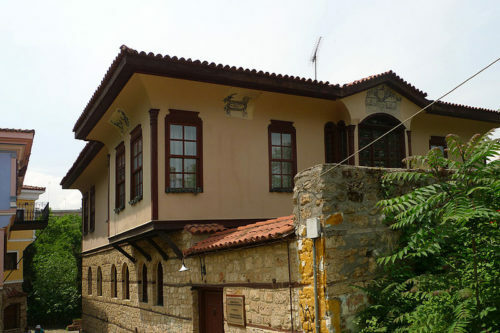 Veria is a northern Grecian city that is situated amidst Mount Vermio and the Aliakmon River. Its history is influenced heavily from ancient Byzantium, the Ottoman Empire, and ancient Macedonia. 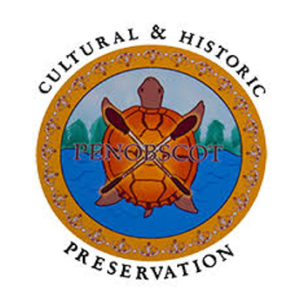 It offers a gamut of fascinating cultural experiences. Also, it abounds with famous historical sights such as the Apostle Paul’s Podium, the Jewish Quarter, and the Aeges, which is Macedonia’s first capital city. Indeed, there is much more to see, discover, and explore in the beautiful country of Greece. You have only to plan, be ready with the essentials, and make a lot of memories to bring home.